NOVA premieres on public television with a behind-the-scenes look at the making of a nature film. Oxford Scientific Films Unit shows how it tackles such problems as filming a wood-wasp laying its egg inside trees, the hatching of a chick and the courtship rituals of the stickleback. Episode 2 - Where Did the Colorado Go? In 1054 AD, the Chinese recorded the explosion of a star so bright that it lit the sky for three weeks, even during the day. It was the explosion of a dying star that was bigger than our sun. 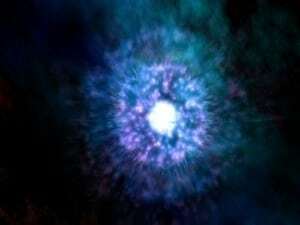 NOVA explores this mysterious explosion that led to the discovery of Crab Nebula. Episode 9 - Are You Doing This for Me, Doctor? The advance of medicine depends inevitably on the testing of experimental procedures on human volunteers from either the healthy or the sick. Yet such procedures are often dangerous, and may not be of direct benefit to the subject. NOVA examines how individuals' interests are safeguarded, and asks, under what circumstances experiments should be conducted on children. Washoe is a chimp more like a person: she talks with her hands. NOVA visits with Washoe and her teachers—Professor Allen Gardner and Dr. Trixie Gardner—to learn more about this unusual animal. Who were the people that built the first cities -- complete with apartment blocks -- in North America? They were the Anasazi Indians, who lived in the Southwest for some eight or nine thousand years and who then, in about 1300 AD, abruptly abandoned their cities and apparently disappeared. NOVA traces the steps of this ancient sophisticated culture.